Most people think it’s simple to clean your carpets in Langhorne, PA; Levittown, PA or anywhere in PA. Just go to the front of the local grocery store or home maintenance store like Lowe’s, pick a machine, buy the recommended chemicals, haul it all home, read the directions and get to it. While that may be the cheapest route, it certainly has some disadvantages. The biggest disadvantage, which most people do not realize, is that most vacuums and carpet cleaners do not reach the debris that has settled deep in the fibers of your carpets. The DIY carpet cleaning rental machines only clean the surface of your carpeting, leaving it looking and maybe even feeling better, but also leaving the underlying dirt, mold spores, pet dander, pollens, and other allergens behind. Your carpets may look clean, but that look is deceiving. The second major disadvantage is that the chemicals used in the cleaners recommended for the rental machine actually damage the fibers of your carpeting. Not only that, there is toxic residue left behind in the carpeting that negatively impacts the air quality of your entire home. It is especially hazardous to your children and pets, who spend hours entertaining themselves and relaxing on the floor. The third major disadvantage is that it’s hard work…and time consuming! 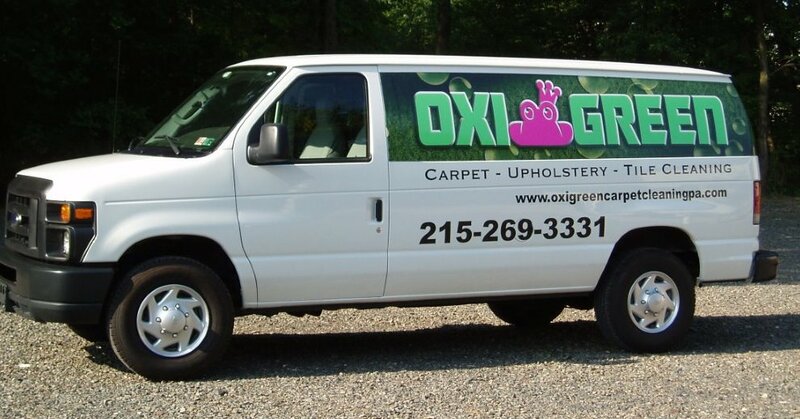 Why not call OxiGreen in Langhorne, PA to do a professional carpet cleaning job for you? Our trained and certified technicians use truck mounted carpet cleaning machines that are effective and efficient. We use 100% green, biodegradable cleaners and shoot water deep into the fibers, dislodging those pollutants that other systems miss completely. The superior extraction process removes the vast majority of this debris right along with 98% of the water for a clean and fast drying carpet. Call OxiGreen today at 215-269-3331 or visit us online at http://oxigreencarpetcleaningpa.com.